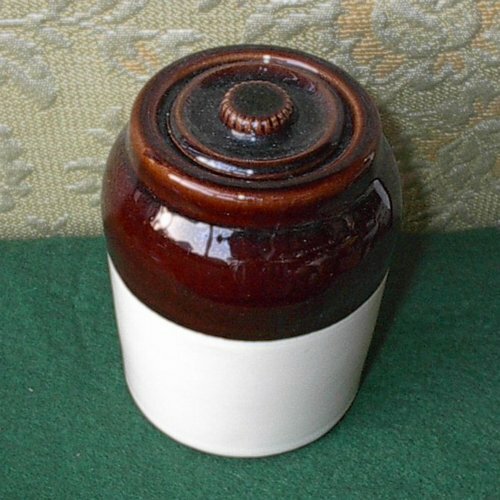 Here is a brown & tan pottery crock with open top. This vase has a sand color background and flowers on one side. 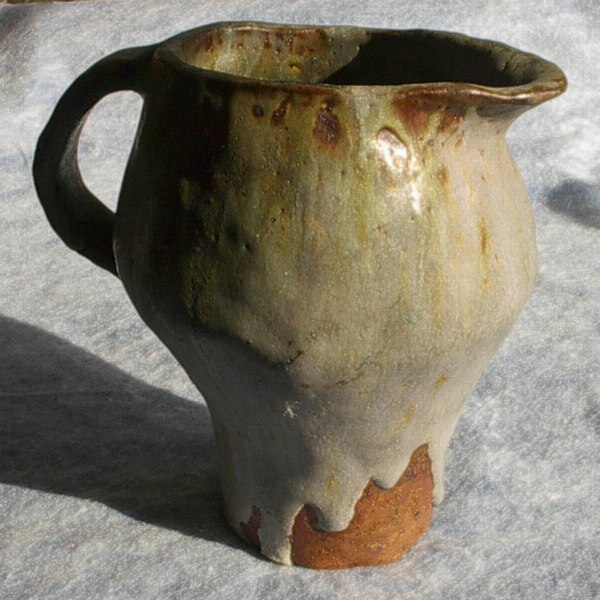 It is glazed inside and out. 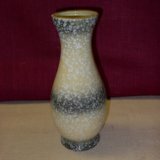 Spotted vase is glazed inside and out. It is deep enough for long stem flowers or dried arrangments. Here is a great item for the kitchen, pantry, window cill or garden. Even use it to keep paper clips in on your desk. Looks great where ever you put it or use it. There are NO markings, or printing on this at all, so nothing to identify who, when or where it was made. 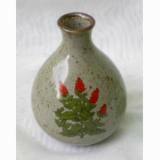 Unless you use the size info below to reference it to some known pottery maker.